A Weston Car Accident Attorney such as Robert E. Gluck will offer emotional support along with excellent legal guidance. 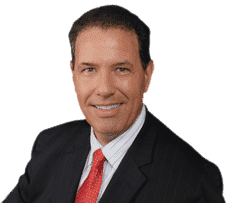 Robert E. Gluck first became an attorney in 1989 and he has since then provided clients with outstanding legal representation. Before he can continue with your case he will have to provide evidence that negligence existed at the time of your accident. Negligence happens when a reasonable person fails to follow a proper standard of care, which results in another individual getting injured. Once he proves negligence he will be able to start a complete investigation of your case. Your Weston Car Accident Attorney Robert E. Gluck will fight hard for your legal rights. He will see to it that you are always treated fairly and with respect. It is important to contact an accident attorney as soon as possible following your accident. Robert E. Gluck will give your case the undivided attention it deserves. You can count on Robert E. Gluck to fight hard for your legal rights. He will work hard to try to get you the settlement you are entitled to. Your Weston Car Accident Attorney Robert E. Gluck will greatly impact the outcome of your case. Studies show when an injured person has legal representation, there is a bigger chance of receiving a settlement. Robert E. Gluck will be at your side from the beginning until the end. He will pursue your case aggressively to try to get your case to win. Contact Robert E. Gluck today, do not wait. It will be to your advantage to act fast! Your Weston Car Accident Attorney, Robert E. Gluck, will meet with witnesses and get their written statements from them. He will examine the property for damage and take pictures. He will obtain video footage and look for any other signs of evidence. Once he has collected all the evidence he can find he will fight to get you a high settlement. Schedule your free consultation with Robert E. Gluck today!